For relatives not on your direct maternal or paternal line, you are not likely to share a haplogroup. 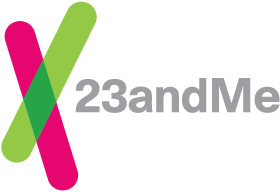 The 23andMe DNA Relatives feature does not use your haplogroup to find matches, and not all people who share a haplogroup are listed as genetic relatives. Most of your genetic relatives will actually fall outside of your haplogroup, because your haplogroup only tells you about direct paternal-line or maternal-line ancestors. Typically, the DNA mutations that define a haplogroup occurred thousands of years ago, so many pairs of people who share a haplogroup are not closely related. For closer relatives, both males and females inherit mitochondrial DNA (mtDNA) from their biological mothers; a mother and her sons and daughters therefore share mitochondrial DNA or maternal haplogroup in the Maternal Haplogroup report. Any set of individuals who share a mother (that is, siblings or maternal half-siblings) have the same maternal haplogroup. In addition, all sons inherit their Y chromosomes from their biological fathers; a father and his son therefore share a Y chromosome or paternal haplogroup. Any set of males who share a common male-line ancestor (that is, brothers, paternal half-brothers, male paternal cousins) have the same paternal haplogroup in the Paternal Haplogroup report. A son or daughter might be assigned the haplogroup H2 while his or her mother is assigned H. The two assignments are consistent with one another, but the son or daughter’s assignment is at a higher resolution, probably because one SNP did not yield data for the mother. In fact, following the rules of genetics, the mother would learn from the assignment of her son or daughter that she also has the H2 haplogroup. The same example can apply to a paternal haplogroup designation. Individuals tested on different genotyping chips can be analyzed for different SNPs. In these cases the individuals would have different - but consistent - haplogroup assignments. Maternal or paternal haplogroup assignments might not appear consistent due to mutations in the mtDNA or Y chromosomes. Such mutations are very rare, however, and are therefore unlikely to be the cause of a mismatch. A discrepant Y chromosome haplogroup assignment may mean that a non-paternity event has occurred along the line connecting two paternally related males. To see whether one haplogroup assignment is consistent with another, you can check the phylogenetic tree located in the Scientific Details. If two haplogroup names are found along an unbranched path connecting the root of the tree to a tip, they are consistent with one another.